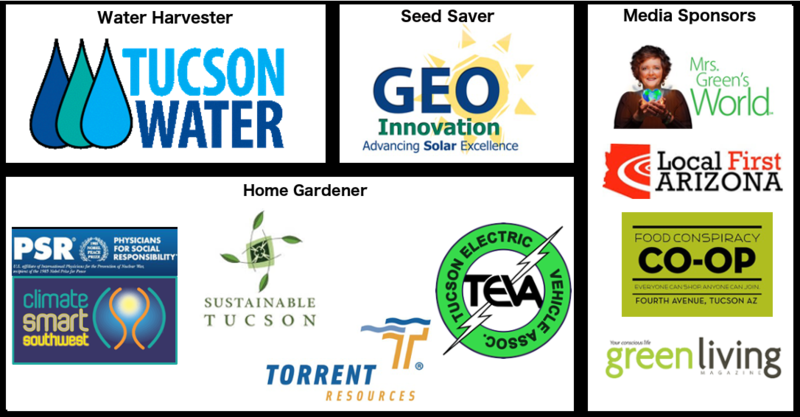 Your sponsorship of the 7th Annual Envision Tucson Sustainable Festival helps provide the financial support for an annual event that brings our community together around a common vision of a sustainable future. There are four levels of Sponsorships for the 2017 Festival. Sponsorships of $250 or more include a complementary exhibit space. To discuss in-kind sponsorship opportunities, email Paula Schlusberg at paulasch@mindspring.com.